Director Chicoine commends a cadet on a job well done—another positive step on the road to life change. 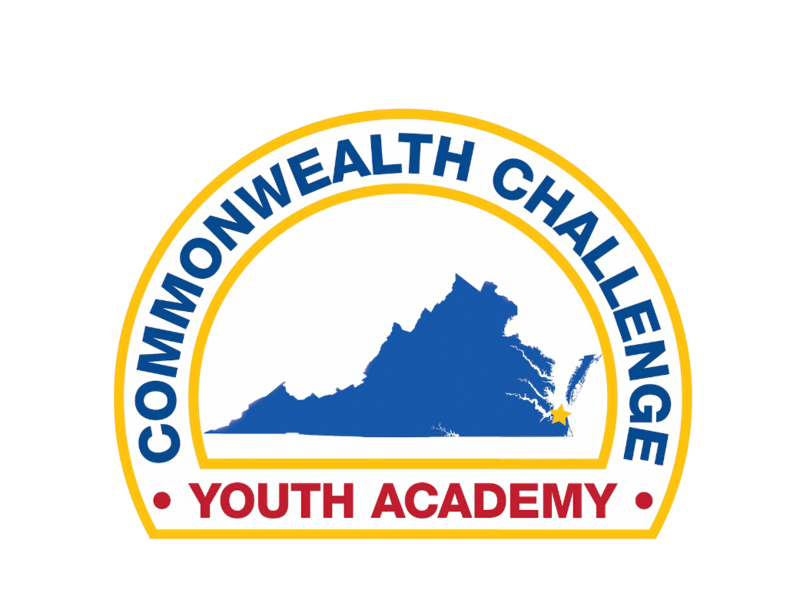 The Commonwealth ChalleNGe Youth Academy consists of three separate phases: acclimation, residential and post-residential. Classes begin each year in March and October. There are a limited number of spaces for each class. Thank-you for taking the time to explore the Commonwealth ChalleNGe Youth Academy. It takes real courage to acknowledge that a change in your life may be necessary in order to move forward. I and the ChalleNGe staff recognize this fact and have nothing but respect for your decision to bring about positive change. 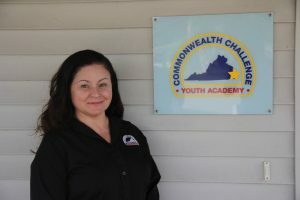 The objective of the ChalleNGe program, sponsored by the Virginia National Guard, is to intervene in the lives of 16-18 year old teenagers by providing the values, skills, education, and self-discipline needed to produce responsible, productive citizens, and to do so in a highly structured learning environment. During the residential phase of our program, the Cadets will complete the eight core components, which are: academic excellence, life coping skills, job skills, health and hygiene, responsible citizenship, service to the community, leadership/followership, and physical fitness. The Cadets will receive additional instruction in patriotism, community living, drug and alcohol abuse awareness and team building that is geared toward developing respect for both community and society. Academically, all Cadets work toward attaining their GEDs, or if eligible, participate in our credit recovery curriculum so that they can return to their High Schools and complete their High School Diplomas. 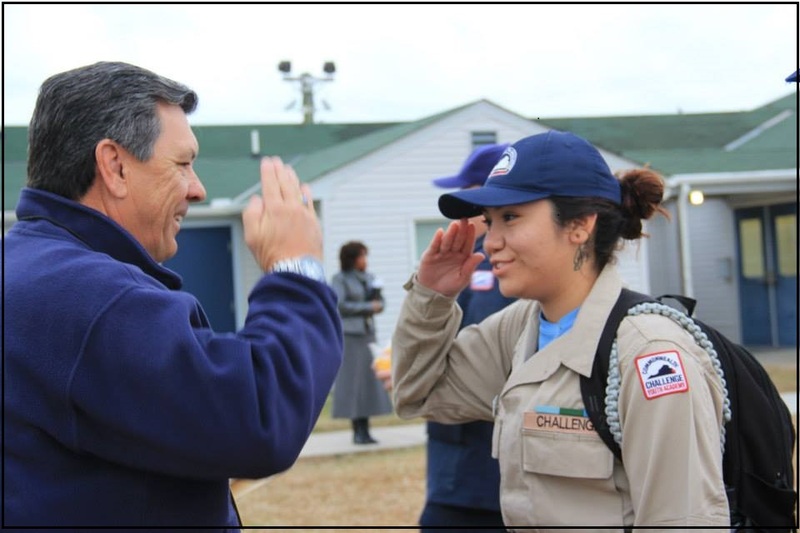 Upon graduating from the residential phase of our program, Cadets will enter a twelve month post-residential phase where they will continue to work with their ChalleNGe career counselor and their mentor on placement opportunities. During this phase, Cadets are required to be enrolled in high school or an institution of higher education such as college or trade school, be successfully employed for 30 hours or more per week, or join the military. Both the mentor and all of the ChalleNGe staff are ready and prepared to assist the Cadets with placement. Lastly, we look forward to working with you as you progress through the Applicant, Selectee, Candidate, Cadet and Graduate phases of ChalleNGe, and then most importantly onward towards a successful life as a ChalleNGe Alumni. Please don’t hesitate to reach out to me or any member of the ChalleNGe staff at any time. Classes begin each year in March and October. There are a limited number of students selected each class and the spaces fill quickly. Apply now for your opportunity to make a positive change in your life.